Please send this around everywhere you can. Please find my torture and abuse diary attached – you might find it interesting as a history and description of these technologies and crimes against humanity, and our failure to receive any assistance or exposure of them. I am writing to formally request that under you statutory duty to investigate crimes against humanity, protect the civilian population from acts of terrorism, communicate matters of national importance to your government and uphold human rights, or otherwise, you pass on this message to the relevant authorities and you yourself act within your means to ensure that all victim cases are investigated and that these large-scale criminal operations are shut down in your country by 1s t June 2017. The attacks on victims are launched from mobile directed energy weapon units as well as telecommunication infrastructure such as cell towers and satellite systems. This is an integrated weapons system that has been built up covertly around the world. The weapons system is now fully operational around the world and is destroying innocent victims’ life in the millions and is subverting nations covertly. Individual victims are hounded and tormented by the national surveillance networks, encircled by perpetrators at all times and systematically tortured and mutilated with electromagnetic as well as ultrasonic weapons in public as well as in their homes. The assaults exploit the fact that beams from electromagnetic weapons are silent, invisible and can penetrate the walls of buildings such that victims can be assaulted everywhere without leaving traces that lead back to the perpetrators. By these means, victims are effectively placed into individual concentration camps that are erected around them by the intelligence agencies, corrupted members of law enforcement and their network of criminal operatives. Another insidious aspect of these weapons is that they can be used to impair, alter and control human bodily functions, movement, behaviour and even thought processes often without the realisation of the victim. This can be used to subvert the functioning of every aspect of human endeavour from personal relationships, business endeavours, to democratic processes and the national security infrastructure of a nation. The weapons technology itself has largely been classified for a very long time. There are however countless publicly known cases from around the world where the weapons have been applied to individuals over many years with the intent to intimidate, torture, maim and murder. From the testimonies of those victims, many of whom have shared their plight online on blogs and through social media, publicly known patents and declassified documents, we know of the devastating effect of these weapons and the staggering scale of the crimes being committed around the world. Please assist us in stopping this global silent Holocaust. My declaration is dedicated to eliminating members of transnational organized crime by Mexican Nationals in the United States and Mexico violating visa regulations, staging fake crimes such as attempted murder, committing fraud and filing dishonest petitions and applications domestically and internationally: Daniel Rene Balderas Barrientos ( San Francisco CA US), Sara Lourdes Barrientos de Balderas (Xalapa Veracruz,MX), Daniel Rene Balderas Acosta ( Xalapa Veracruz, MX), Rene Ruiz( San Francisco CA ,US) Sarita Ruiz (Xalapa Veracruz, MX) Javier Joel Garcia (San Jose CA , US) Elizabeth Garcia ( San Jose CA, US). Dylan Hafertepen, in San Francisco CA, who works for FWD.US for immigration reform should also be charged with federal crimes due his links to drug and steroid sales with Mexican nationals in the United States and using his familiarity with immigration law to advise “visa violators” and “criminal aliens” to file an application for a domestic violence and U-VISA petitions to remain in US. Visa Fraud was related to criminal immigrants lying about their situation to seek refuge in the country. An investigation could find criminal links to a larger population of illegal immigrants violating immigration law and perpetrating crimes against US citizens. Daniel Balderas Barrientos entered the US in 2008 on a student visa with non-disclosure of communicable disease since temporary visas are a common means of entering for criminals and terrorists. Daniel Balderas Barrientos and Sara Lourdes Barrientos de Balderas are guilty of Corporate fraud at “Balderas’s Jalapenos Mexican Kitchen and Grill INC. San Francisco CA,” involved reporting of ghost business addresses, ghost employees, time card falsification and payroll fraud to qualify for an international business visa by Daniel Balderas Barrientos and Sara Lourdes Barrientos de Balderas. I am testifying as a ghost employee listed as the entire “Board of Directors” where the only termination is by death and is someone on payroll who that didn’t actually work for the “victim” company. Tax evasion and unlawful labor practices were reported to the Attorney General of CA. and advised me to contact IRS criminal tax investigations since tax payers are losing hundreds of thousands of dollars to corporate fraud each year. Daniel Balderas is guilty of timesheet fraud involving paying employees incorrectly for the hours they work. Manually overriding employee timesheets such as rate of pay prevented paying victims for holiday pay, vacation, breaks, health insurance and overtime. For example: A supervisor who altered a time card to show that an employee had a 30-minute unpaid lunch break when no break given is “time card fraud.” A fraudulent tax claim can result in fine 250,000 and 3 years in prison. 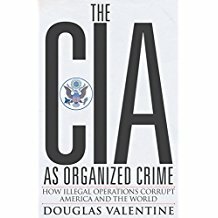 More than 6 known individuals assisted in a conspiracy to murder an American citizen to cheat the System to Stay in the United States by staging fake crimes resulting in dishonest petitions and applications for nationality. Javier Joel Garcia (San Jose CA), Daniel Balderas San Francisco (SF CA), Rene Ruiz (SF CA) Sara Lourdes Barrientos de Balderas (MX) Daniel Rene Balderas Acosta (MX) staged fake crimes domestically and internationally such as attempted murder to pose as victims and be awarded what’s called a U visa to remain in US, however the abusive acts that visitors alleged in the petition “must have taken place in US” therefore the court was not able to grant protection until new falsifications were made in Nov of 2015. The petitioner(s) staged fake crimes because they were aware they can request other protected individuals such as family which are likely to be approved for a work permit or permanent residency. Federal felonies were committed when the said party knowingly assisted illegal aliens or assisted an alien who is illegally in US. Javier Joel Garcia and Olga Flores (San Jose CA, US) , my mother, are guilty of entering a sham marriage where schedules were set up so that so the perpetrators of the crime would not be home at the same time avoiding U.S Immigration Customs and Enforcement where the agency could potentially wonder whether it was intentional. The penalty for marriage fraud is a fine of 250,000.00 and imprisonment for up to 5 years. In 2013, After petitions for citizenship were denied, the alien then began to file fraudulent restraining orders and staged crimes to police such as substantial physical or mental abuse to file for a U-VISA petition. After 3 years and over 13 attempts of making police reports and filing a petition, the protection order was granted June 15th 2017 for making claims of assault and attempted murder. It is believed that the petitioner, Javier Joel Garcia, tried to make fraudulent claims of abuse as the “stepfather”, to encourage police misconduct since family members may claim monetary compensation for their loss in a wrongful death lawsuit. Starting in Nov. 25th 2016, prior to seeking the protection order, the perpetrator who is also a trailer driver for Alexxandras Transport, received and placed toxic chemicals such as carbon monoxide in my room in my room (661 Glenburry Way San Jose CA) to cause brain damage, personal injury where it was implied that he assisted Daniel Balderas and other members of the group in a conspiracy to commit murder. Conspiracy to commit murder is a felony that could result in life in prison. 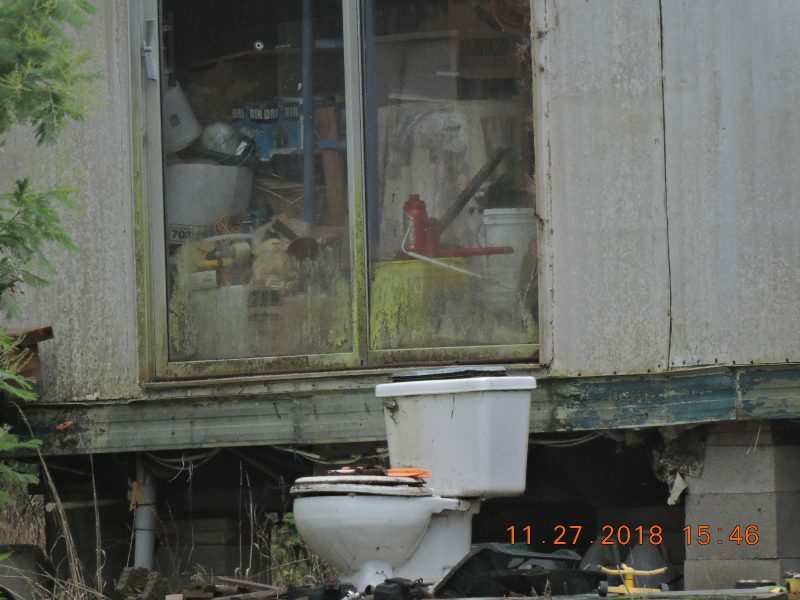 I have a recording when PG&E came out to the house several times and advised me of the contamination and suggested I hire a air quality specialist to identify the toxins placed with the intent of intoxication. Daniel Rene Balderas Barrientos committed a federal crime Entering in 2008 prior to 2010 in which Federal immigration law prohibited people with HIV entering the country and could also be charged with Criminal negligence and non-disclosure of HIV status that is classified as attempted murder involving the intent of infection to another individual or an alleged HIV transmission. As any visit or reside in U.S. on temporary visa or green card, one must prove that he or she does not present a health risk to the general public, which was falsified by Daniel Balderas Barrientos entering the US by non-disclosure of communicable disease. Visa violations committed by Daniel Balderas Barrientos that are deportable also include narcotics addiction or violation of laws relating to a substance & assisting other aliens to remain in US. Daniel Balderas could be charged with Falsification of financial eligibility for the AIDS drug assistance program to qualify at Federal Poverty Level. Daniel Balderas held multiple bank accounts in the United States and Mexico at the time of enrollment in 2008 at SF City Clinic. An investigation could find the perpetrator of the crime guilty of taking nearly 250,000.00 USD for false claims of financial eligibility since 2008. Daniel Balderas Barrientos is guilty of identifying as “refugee” to the department of public health due to the fact that a Visitor to the US does not have access to health care for the simple fact that they are not U.S. citizens. Daniel Balderas Barrientos and Sara Lourdes Barrientos de Balderas committed other crimes in Mexico and US such as life insurance fraud with a policy of 4,800,000 pesos to Seguros Monterrey MX and 50,000 USD US with Non-disclosure of “known” diseases known to cause death such as HIV and drug addiction which are considered typically a bad risk for insurance companies. An investigation should be made to rule out life insurance fraud schemes with money launderers such as “Post-dated” life insurance arranged after the death of the insured, “False medical proceeds” with non-disclosure of a pre-existing medical condition or drug addiction, “Lack of insurable interest insuring people in hopes they will die taking out policies on the terminally ill and “Suicidal accidents” leading people to believe the death was accidental. It was implied that Sara Barrientos De Balderas criminal intentions are to access the cash after a given amount of time without penalty by the insurance company and assist others in doing the same since only the policy holder has the right to cash value.